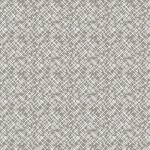 What is a Bebe au Lait Jersey Nursing Scarf? One of the biggest issues I have had with nursing covers is the fact that it doesn’t cover your back or side very well. You have to tuck the cover under your arm or lean back on something which isn’t always possible depending on where you are nursing. 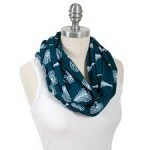 I was intrigued by the idea of a nursing scarf from the moment that I was told these exist. So what exactly is a nursing scarf? Well, it’s exactly what it sounds like – a scarf that you use for nursing! 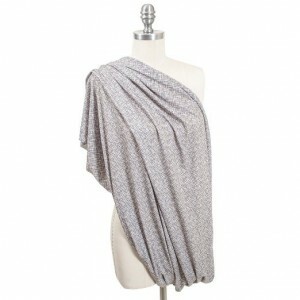 Bebe au Lait Jersey Nursing Scarf is a 2-in-1 nursing cover that is also worn as a stylish scarf. It is light-weight jersey cotton which is super soft. 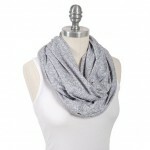 It is also an infinity scarf which means it sewn together at the ends making it a perfect cover for nursing. Your back and sides will always have coverage. Also, you get to ditch the ugly brass clips that hold typical nursing covers together. Not to mention it is one less thing you need to carry in your diaper bag so that will free up some much-needed space for other baby essentials. And with 3 color options to choose from, you can find one that goes with most anything you wear. This is the perfect accessory for nursing on the go! 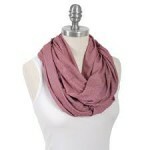 Want to See the Bebe au Lait Nursing Scarf in Action? Here is a great video that shows that the Bebe au Lait worn as both a scarf and as a nursing cover. 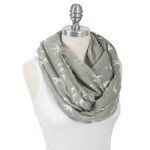 The scarf in this video is the muslin fabric which is an option too. 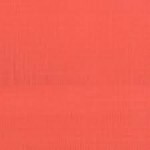 I included a list of the muslin scarves in this review as well since they have some great colors and because muslin is great material! 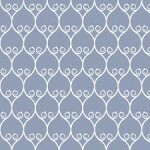 You can read about the muslin options below. I love the look of the scarf and the coverage it provides as a nursing cover! 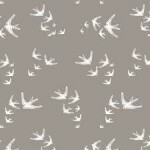 Bebe au Lait Muslin Nursing Scarves – More Options! 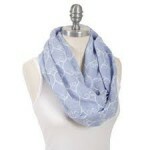 As I mentioned above, the Bebe au Lait scarves also come in muslin fabric. 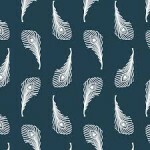 If you are not familiar with muslin fabric, then let me tell you that it is seriously so soft! It makes for a wonderful scarf! One positive about the muslin design is that I from what I can tell you will not encounter the issue of the backing not being lined. I think the design might look more complete. But it is lighter-weight and may not feel as sturdy as the jersey cotton design. But both are great options! Note that the muslin scarves are slightly more expensive, though. The Jersey cotton scarves are not lined which can look unfinished if the scarf gets turned the wrong way. I wish they would continue the design and have sewn it together so that t doesn’t look that way underneath. 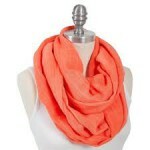 The muslin scarves are by far my favorite! They are super lightweight so you could even use them as a nursing cover in the summertime by keeping the scarf in your diaper bag. The other major thing that I love about these nursing scarves is the fact that they wrap around your body when you nurse. They cover your back which is great especially if you need to lift your shirt to nurse. I can’t tell you how many times my baby has decided to just pull the nursing cover down and because it was just draped over me, I gave quite a few people around me a little show. The scarf definitely ensures you stay covered. This is a great option if you are looking for a more stylish nursing cover! I highly recommend the Bebe au Lait! 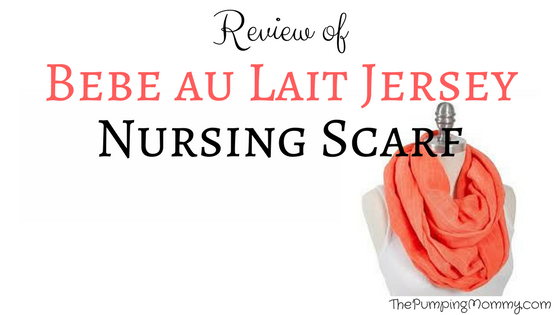 Click here to read more about Bebe au Lait Nursing Scarves! Read: Need an easier way to nurse and have your hands free? 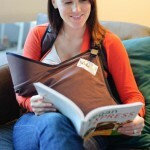 Give you back a break and check out the Koalakin Nursing Pouch! Read: Need bottles or pump accessories? Check out our Pump Parts Store! 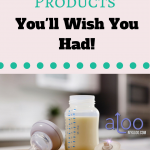 10 Best Breastfeeding Products You’ll Wish You Had!